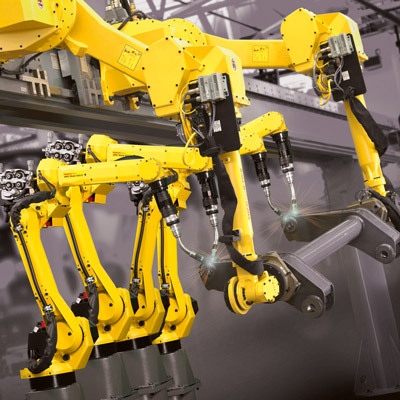 With everything available from compact models designed to work in sensitive environments to heavy-duty giants, finding a material-handling robot to suit your needs is easy. Whether your material processing operation involves pick and place, dispensing, palletising, packaging, part transfer, machine tending or assembly, automated material handling solutions are available to meet every need. Good suppliers work to any scale, supplying easy-to-use standalone solutions or fully integrated systems that automate every material handling process from front to end of line. 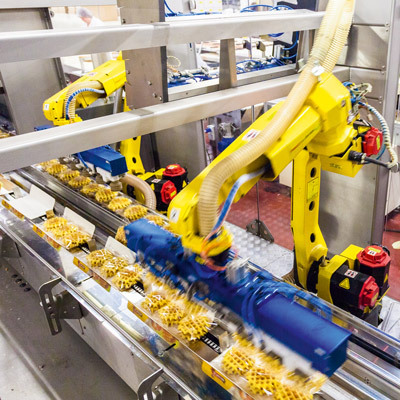 Capable of working relentlessly at high speed, fully integrated robotic handling solutions also maximise your productivity by increasing throughput and extending operating times. 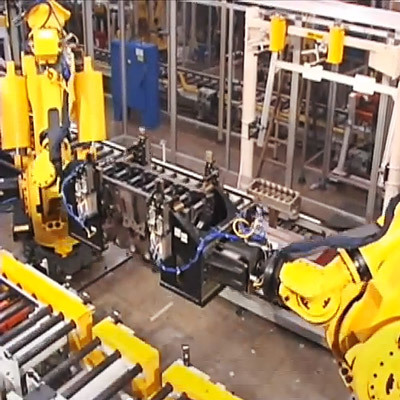 Multi arm technology makes synchronising multiple robots and external axes easy. For machine tending, good suppliers offer an extensive range of options and are able to integrate these seamlessly into any number of machine tools - whether the automated material handling application involves sand casting, injection moulding, cutting, machining or small parts assembly. Smart solutions make transferring large workpieces such as machine beds easy. 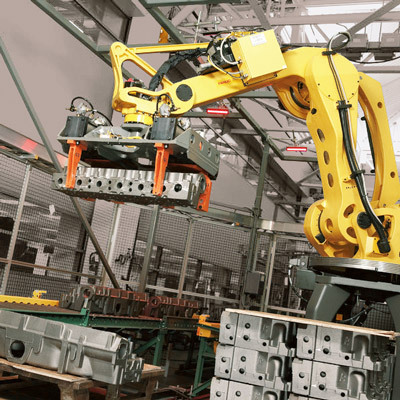 Transfer into the robot work envelope is via pallet and requires no additional fixtures. Good suppliers that have a proven track record in palletising and offer a range of models capable of lifting anything from 6 to 1,200 kg and benefitting from a range of work envelopes. 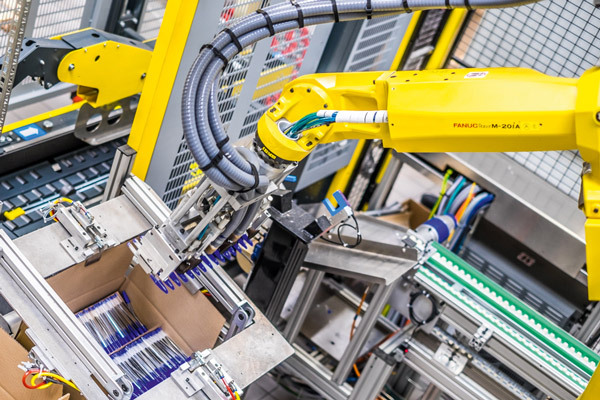 Equipped with vision systems and capable of working with human-like dexterity, pick and pack robots maximise productivity in even the most demanding of automated material handling operations. 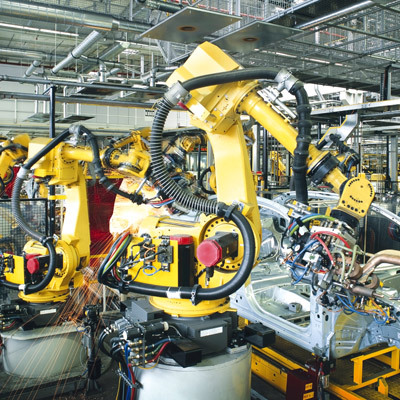 Manufacturers with a long track record in factory automation will make automating your production facility easy. 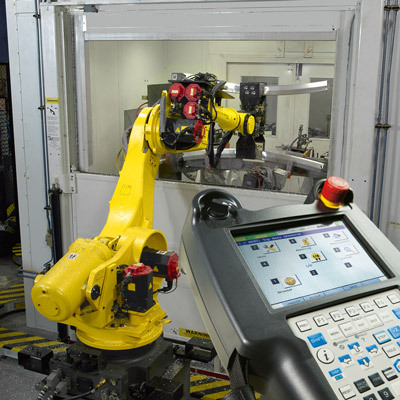 The ultimate in compactness and precision, superior material handling robots are operated using a common proprietary control. This makes them infinitely reliable and very easy to maintain. It also means excellent support from the manufacturers, who understand their robots better than anyone else. 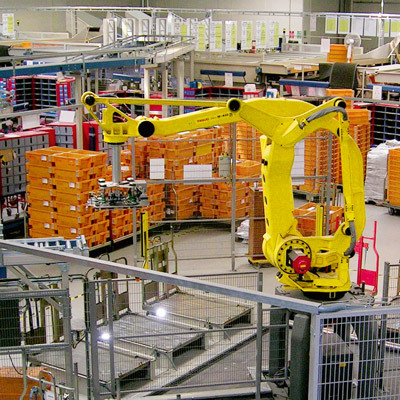 When it comes to fully scalable solutions, material-handling activities can be automated either fully or in stages. Either way you are future proofing your business.